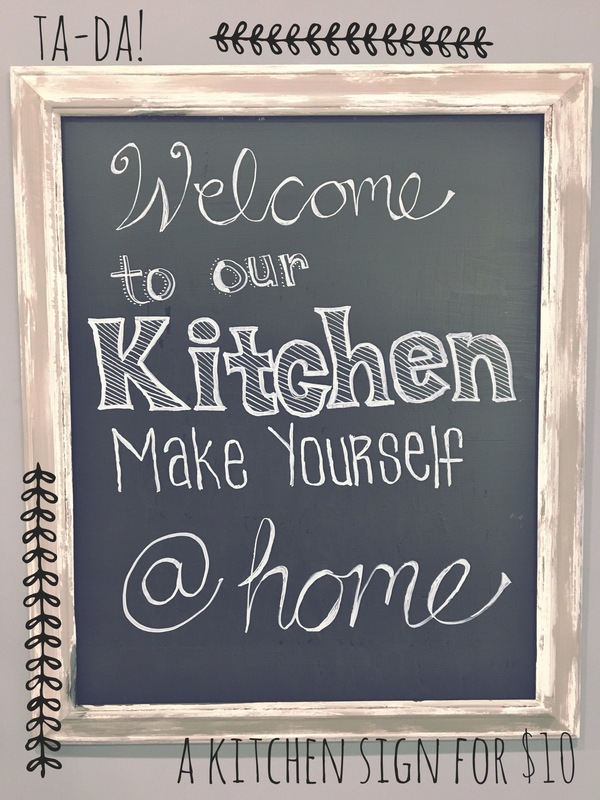 Today I’m going to show you how to jazz up your kitchen with a homemade chalkboard sign for under ten bucks! First, wipe down your frame and glass with a wet rag and/or window cleaner. You can remove the original art from the frame if you like, to make it slightly lighter. 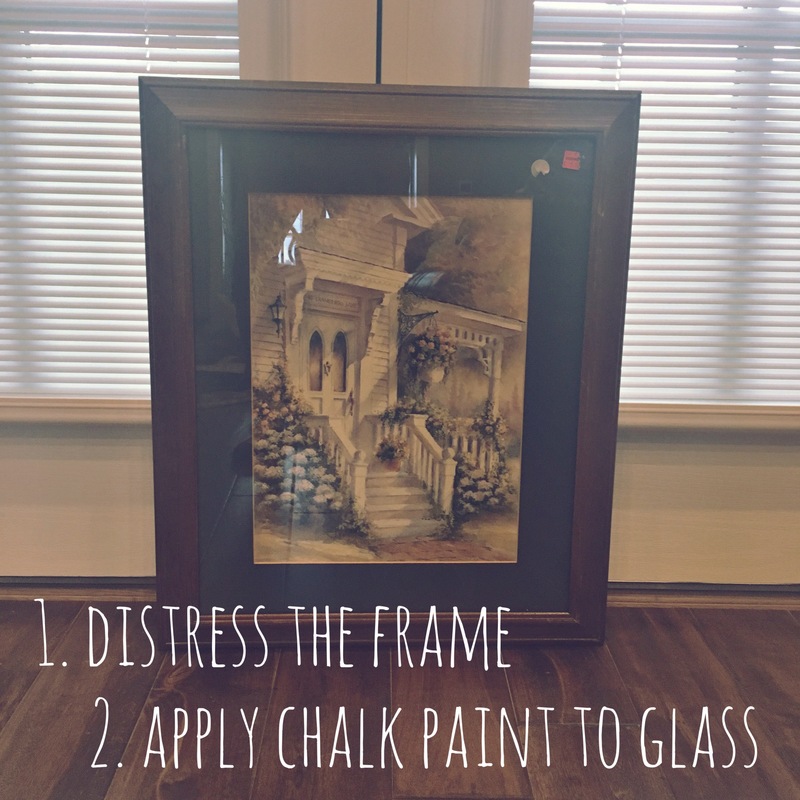 Next, distress the frame and apply two coats of chalkboard paint to the glass. Allow 24 hours to dry, and use the chalk marker to personalize your sign. Chalkboard paint is a thing? Woot! Paint all the things!